Nestled on the hillside of Kaanapali, these spacious two and three bedroom Maui condos offer panoramic views from the islands of Lanai to Molokai. Mere minutes from breathtaking beaches such as "Airport" and "KP," this Maui Vacation Rental is also conveniently located near the award-winning restaurants and shops of the Whaler's Village. In addition, the charms of Old Lahaina Town and the world-class surfing and snorkeling of Honolua Bay are only a few miles away. 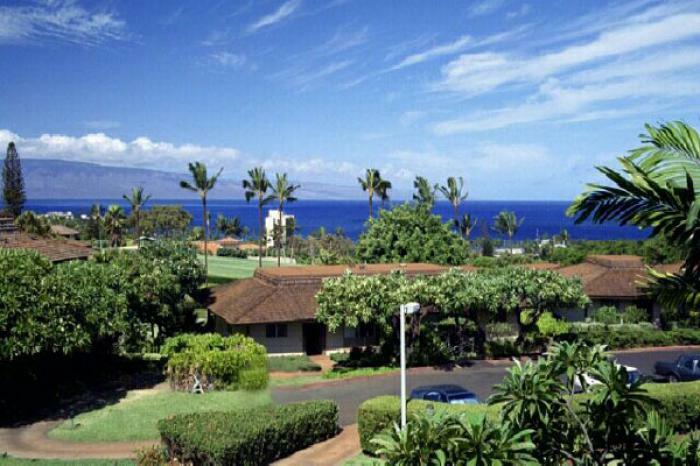 Bordering the premiere North Kaanapali Golf Course, these Kaanapali vacation condo rentals also feature a heated pool, tennis courts, shuffle board and cabanas amongst ten acres of sprawling, tropical garden landscape.